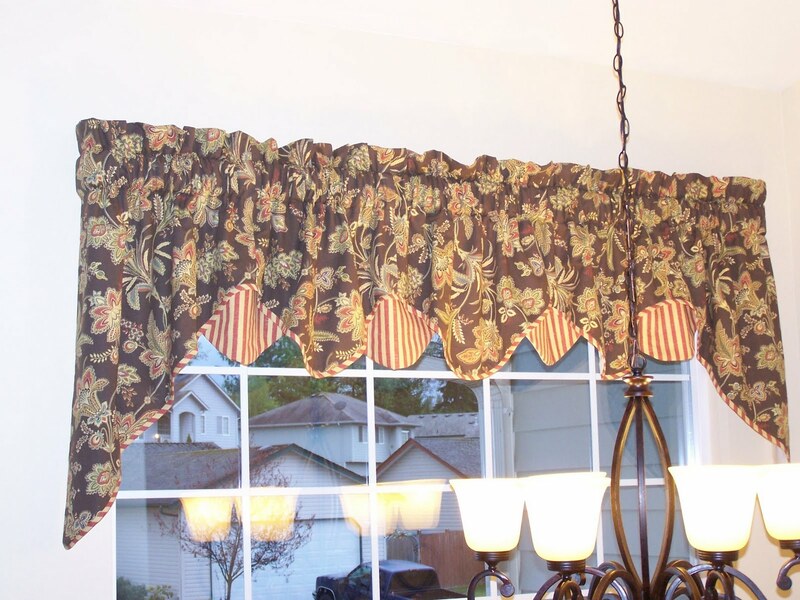 This is a peek-a-boo valance which includes a contrasting fabric in between the scallops of the main fabric. 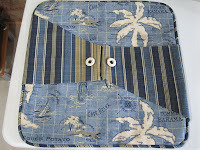 Because this fabric was a medium weight I chose to not include cord in the piping, which I feel would have made it too stiff. 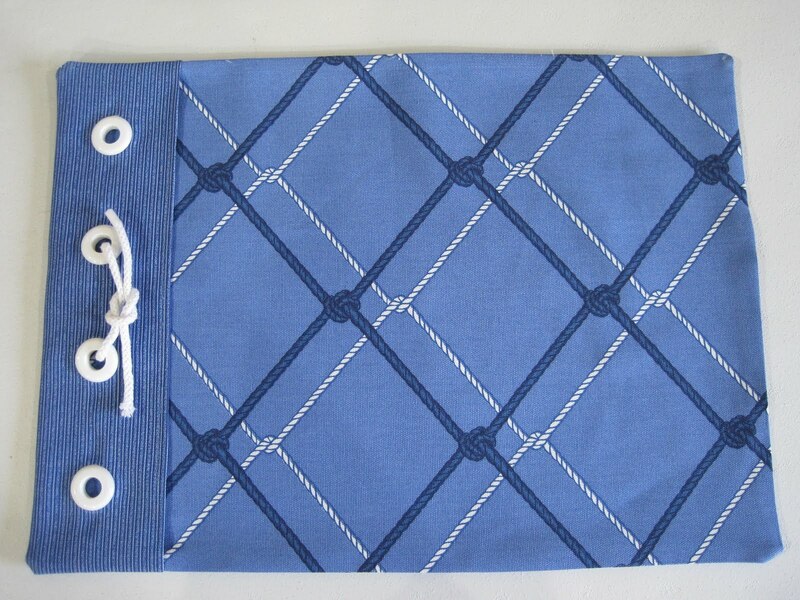 So I still get the coordinating look that I wanted without the add'l fullness. 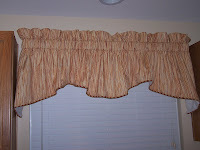 Here's an example of a scalloped, piped valance. 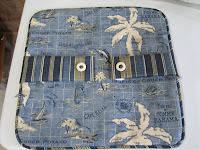 This was a lightweight fabric so I included cord in the piping to add some body. 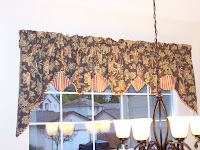 This was my last sewing project for this weekend. 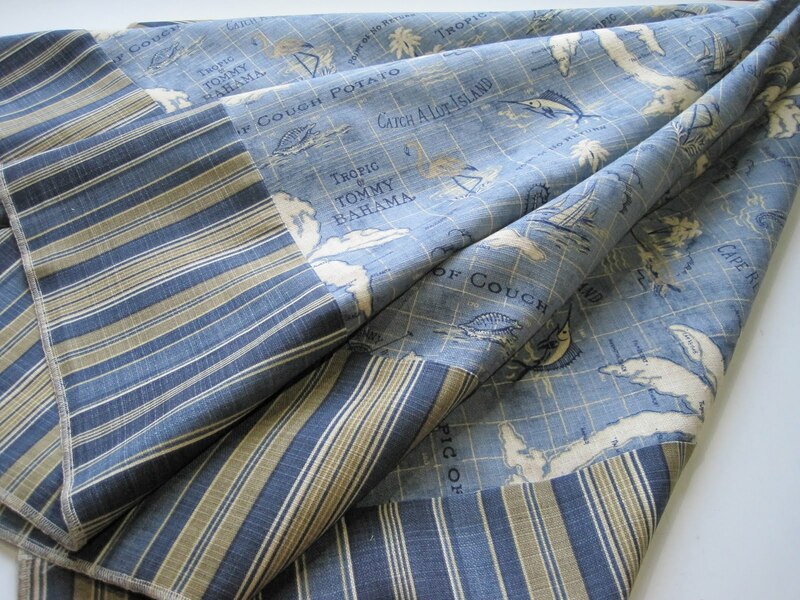 Again, using a Tommy Bahama indoor/outdoor fabric I've constructed a square tablecloth with a coordinating border. This was a fun project. 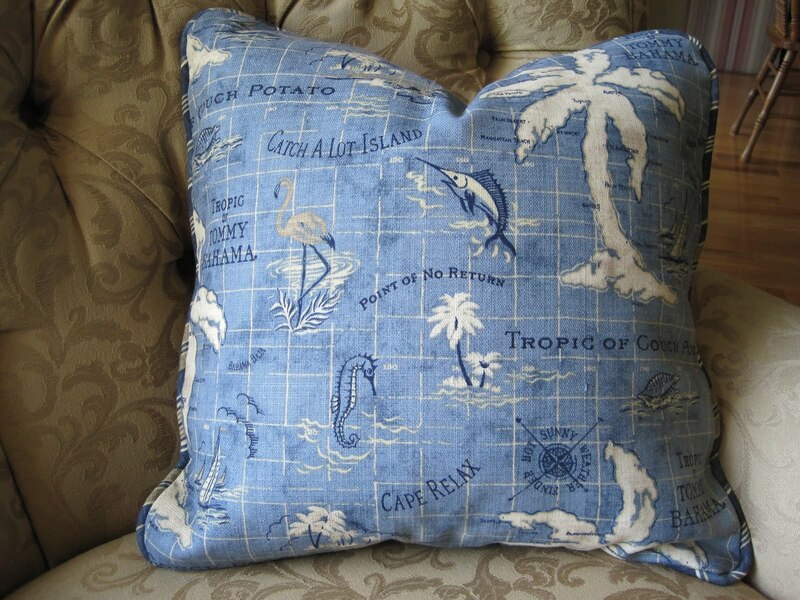 This pillow uses indoor/outdoor fabric by Tommy Bahama. 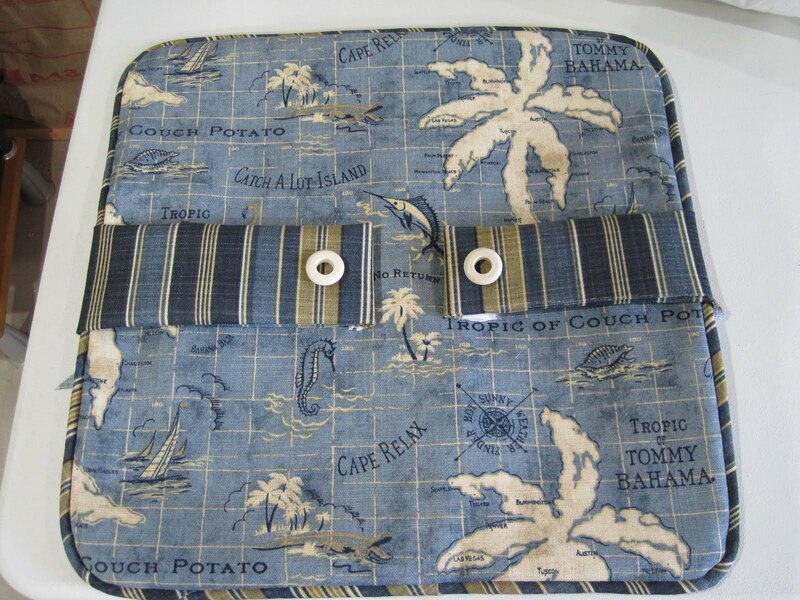 It is an 18" square pillow with coordinating piping. There is a zipper back. 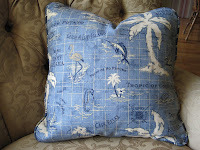 I've also included a couple pics of some ideas I want to try to embellish the pillow. This is an idea for a placemat using two coordinating indoor/outdoor fabrics, grommets and a square knot for design. 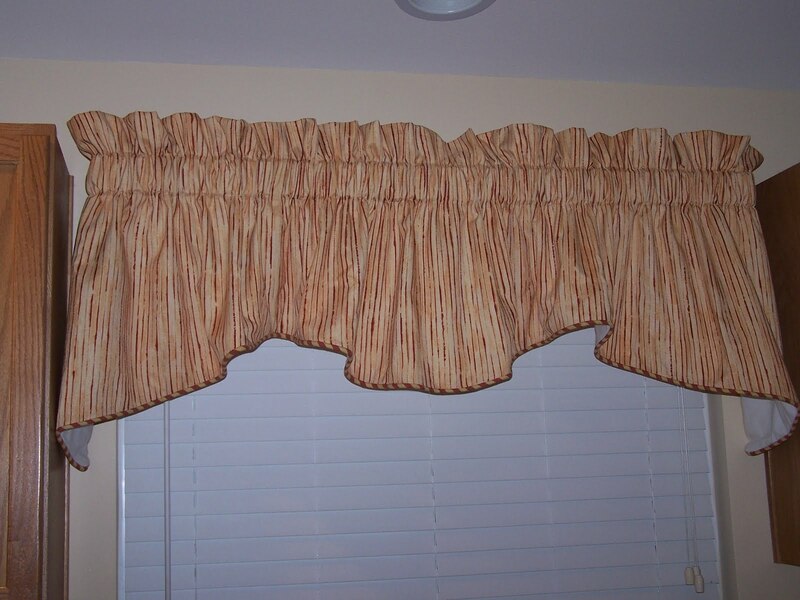 To keep the cost down I used a solid fabric for the back as opposed to the more expensive Waverly fabric.